Quick Quick Catch Up | Live to read. Read to live. 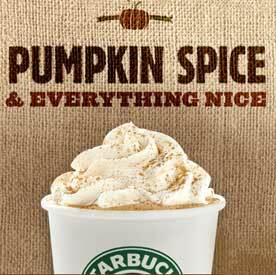 People of the blogosphere, dance with me: it’s pumpkin spice season. Or autumn, we could just call it autumn if you’d like. Either way, it is the season of joy and delight. The season of the Pumpkin Spice Latte (Starbucks I love you *other coffee shops are available) and leaves underfoot; of conkers and so many colours; of fingerless gloves and woolly jumpers and delightfulness. The colours of autumn though, are they not just lush!? Last October my pal and I walked through St James’s park and the colours were so stunning they took my breath away a little bit. I went a bit snap happy because I am totally girl of the instagram generation, today (for work related purposes I hasten to add) I photographed my socks. Anyhow. That’s another story. Autumn is my favourite I think, partly because of the PSL which may well be the most delicious coffee related beverage in the history of time. There’s a pumpkin spice Bailey’s this year, did you know? DID YOU KNOW? Oh, but I am excited to get my little hands on a bottle of that. 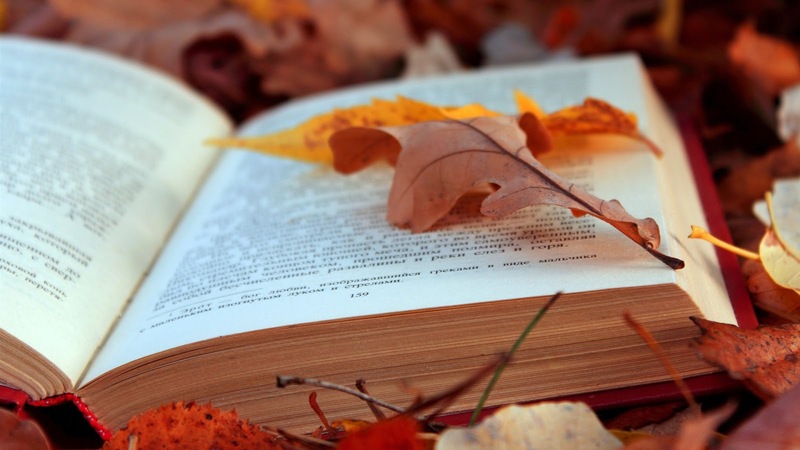 I also love autumn because it’s perfect for reading. The nights start to draw in and you find that you feel deliciously melancholy somehow and so you (and by ‘you’ I obviously mean ‘I’ and I am so sorry for projecting) feel less guilty for curling up under a blanket and shutting the world away. A blanket, a cozy spot, a cup of coffee and a good book. Is there a pleasure in the world that is equal to that? NO THERE IS NOT. It’s totes a cliché, but it’s a freaking excellent cliché and I am all over it. LET ME BE THE GIRL IN THE OVERSIXED JUMPER WITH THE AUSTEN NOVEL PLEASE. & so because it’s autumn and it’s a time for reading and because I have been awfully lax of late (my last post was in June and I hate myself a little bit for that) here are some books I’ve read recently that I feel like should be on reading lists everywhere right now, along with some exciting looking autumnal releases. What have I been reading, then; what do I think you should all read now that it’s September? The Ship by Antonia Honeywell is a book I was super excited about because when it was released last year it was everywhere and I was hearing All The Good Things. All of them. & I liked it. It starts of in dystopian London (I love me a good dystopia. Everybody knows it) where everything is bad: Oxford Street burned for week, people are homeless and desperate and squatting in the British Museum and not having an identity card doesn’t only mean you don’t exist, it means you’ll be shot. Lalla is 16, her dad is a (really creepy) visionary and thanks to him she gains passage on The Ship which is kind of like Noah’s Ark for humans – 500 humans, one ship and no talk – ever- of a destination and nobody seems to think that’s weird, except Lalla. It’s good, and interesting and a pretty unique twist on the whole dystopia thing. I liked it. It’s also a pretty cool coming of age story and you cannot get enough of those am I right? I’m right. Anyway, it’s worth a read. Robin Wasserman’s Girls on Fire is good. It paints a terrifyingly accurate picture of how crazy and passionate and intense female friendship can be. It’s like, imagine your late teen self (some of us have to imagine that ok, for some of us it was a while ago) and then exaggerate it by some and you have Hannah and Dex and even though it’s really extreme you kind of relate to it because it can be like that, female friendship more potent and intense and under-your-skin emotional than any romance and this book gets that. It’s also super pretty, which, I am always all about the pretty words, and mindblowingly observant, there’s ordinary and also extraordinary all tangled up as one and the same and ain;t that just how life goes sometimes? And it’s set in the nineties. THE NINETIES. Fascinating, gripping, different. It’s messed up and it’s addictive and full of fucked up characters and destructive relationships and completely unreliable narrators. All those excellent things. I read Sarah Pinborough’s The Death House last year and adored it so I was ridic excited when I saw she’d got a new book out there: Thirteen Minutes. Totally different to The Death House but still quite, quite excellent. AND SO DAMN CLEVER. So clever. Natasha is pulled from a freezing river. She was dead for thirteen minutes. She has no idea how she got there, what happened or why but the more she tries to figure it out the more it looks like perhaps somebody tried to kill her, and perhaps that somebody is a person she loves. Keep your friends close and your enemies closer and all that, but what if you can’t tell them apart? Reading this made me question why I don’t read more psychological thrillers because I do love them so. You should also look at Louise O’Neill’s Only Ever Yours which I read last week and plan to come back and review properly because I have feelings. It freaked me out. As far as new (and upcoming) releases go I feel like you should keep an eye out for these babies. I haven’t read any of them, yet (although Today Will Be Different is next on my list) but I want to, because they all sound marvellous. Today Will Be Different – Maria Semple who wrote Where’d You Go, Bernadette (which I haven’t read but feel like I should) is about a day in the life of one woman, about tackling the little things, and about life often gets in the way of doing just that. Holding Up the Universe from Jennifer Niven who wrote All the Bright Places because would I be me if I didn’t hit you with a YA rec? It sounds a little Eleanor & Park. Here I Am, the new novel from Jonathan Safran Foer sounds interesting and relevant and rather excellent and I really liked Extremely Loud so you know, fingers crossed. The Wonder is the latest from Emma Donoghue which I shall likely read even though I am mad at her because I watched Room recently and my heart broke a little bit. Ali Smith’s Autumn because hello, it’s called Autumn. And, GARY OLDMAN and Douglas Urbanski’s BloodRiders. GARY OLDMAN. COWBOYS. VAMPIRES. VAMPIRE COWBOYS. Do I need to say more. It will either be incredible or awful. Or incredibly awful. Frankly, I don’t even care. So there you have it. I’m back, I think. I have Only Ever Yours to talk about, and I’ve been trying to get my thoughts about The Cursed Child in order for weeks so expect to see me talking about that at some point and I’m reading the new Chris Cleave right now (and I love it, don’t wait for my review: read it now) and my BFF’s baby is one now and is making me want to talk about picture books so that might be a thing and I feel like I might be back to having Things To Say. Hurrahs.